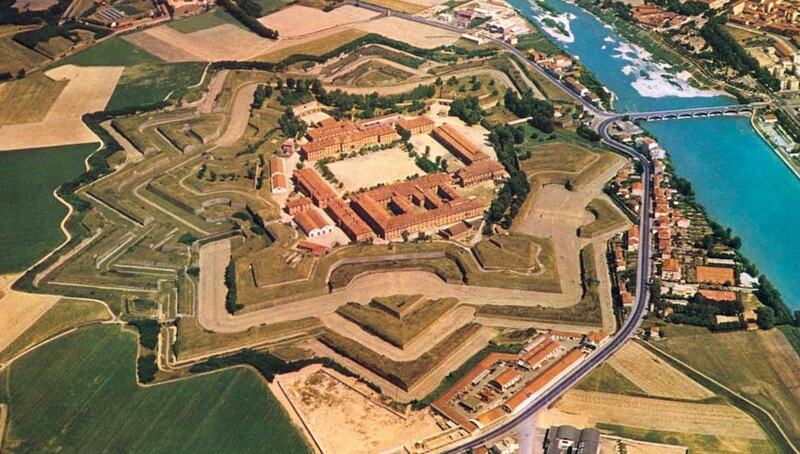 The Cittadella of Alessandria is a star fort and citadel that was built in the 18th century by the Kingdom of Sardinia; today it is one of the best preserved fortifications of that era. It is one of the few fortifications in Europe still in their original environment, since there are no buildings blocking the views of the ramparts, or a road that surrounds the ditches. On 10 March 1821, during the Piedmont insurrection, the blue, red and black tricolour of the Carbonari was raised on the Cittadella's bastions by Colonel Ansaldi. This was the first use of a tricolour flag in the history of Italy. The Cittadella has been Italy's tentative list of UNESCO World Heritage Sites since 2006.